Welcome to the OptimalThinking.com press room. 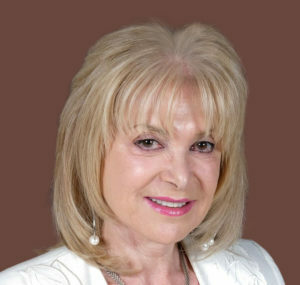 Dr. Rosalene Glickman has hosted her own radio and television programs and is a seasoned media interviewee. She is currently available for TV, radio, print, (via telephone or by arrangement) and online interviews. Dr. Glickman lives in Los Angeles, California (Time Zone: Pacific). Your best-selling book, Optimal Thinking: How to Be Your Best Self has been published in 17 languages. What is Optimal Thinking? Many people worry about being unemployed. What advice can you give them to deal with their anxiety? How can Optimal Thinking help us achieve personal and business goals? How can business owners benefit from Optimal Thinking? Optimal Thinking is used to create “Best Place to Work” multicultural organizations. Can you tell me how this works? What are the real benefits of a company becoming a “Best Place to Work”? How long does it take to become an Optimal Thinker? Why do you believe that positive thinking is dangerous? How does Optimal Thinking help us deal with negative people/situations? How can Optimal Thinking help us deal with disturbing feelings? Can Optimal Thinking be used to resolve critical issues such as terrorism? Can you give me the names of some well-known Optimal Thinkers?